24th September 2018: Specialist bicycle intermediary Bikspoke, has launched its bicycle insurance scheme on the SchemeServe platform. 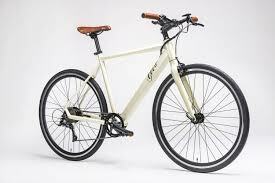 The scheme offers flexible and bespoke cover options for all types of bicycle activity including road, mountain, competition and electric bikes. The scheme also provides legal support and claims management services for policyholders all under one roof. The insurance scheme is available wholesale or retail through the new Bikspoke online quote and buy website, which has been designed and built by software provider SchemeServe. Tamara Downes, Director, Bikspoke, comments: “Bicycle insurance is a massive growth area. In terms of product, many cyclists wrongly think they’re covered by their home insurance but that may not always be the case. Bikspoke is far more comprehensive. In terms of the market opportunity, 25 million people own bicycles in the UK and the number is growing. The UK has the second largest bicycle market in Europe. In addition, the latest proposed changes to the Motor Insurance Directive following the Vnuk ruling, will make third party insurance on electric bikes compulsory. This is a huge market opportunity which, with the SchemeServe platform, we are now well placed to embrace. This entry was posted in Insurance Client News, News and tagged insurance news, insurance PR, insurance software, InsurTech, press release, Spotlight Consulting by Spotlight. Bookmark the permalink.